Yes, we get it- you love coffee. And not that horrible, bitter concoction that Starbucks uses in their drinks. Nope, you love REAL coffee: preferably a cup that you prepared yourself, or one served by a local coffee shop who knows their stuff. Good, strong coffee is what fuels your body, and anything less than that is simply unacceptable. 1. Determine Your Own Defin﻿ition Of "Strong"
Fifty-four percent of Americans over the age of 18 drink coffee on a daily basis according to a Harvard study, but we think that only a small percentage of that appreciates the allure of a nice, strong, full-bodied, aromatic brew. In this article you will learn how to make strong coffee at home and ways to choose and keep coffee fresh​. The thing is, we only have enough hours in a day to do whatever we're supposed to do, and brewing a strong cuppa joe every morning would take up a lot of our time. We can opt to go to a local, mom-and-pop coffee shop and have them make one, but if you live far from cafes (or have only substandard ones near you), then you're out of luck. But still, nothing beats coffee that you brewed and prepared by your own hand. Here are a few guidelines on how to make your next cup as strong as it possibly could. 1. Determine Your Own Definition Of "Strong"
"Strong" is a variable term. Different people have their own different opinions on what constitutes a "strong" cup of coffee. For some, strong coffee means strong-tasting. It might have a bolder, more, intense flavor than what most people are used to. Or it might be "nuttier" and/or have more pronounced earthy undertones than regular coffee. Your definition of "strong" is what will guide you in the rest of the coffee brewing process. For example, it has a huge impact on the kind of beans or blends that you will use. Arabica is the go-to choice for people who put a premium on taste, while Robusta is for those who want to spotlight that caffeine kick. If you're in the middle ground, you can opt to make your own blend according to your needs and taste. 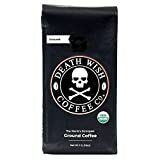 Alternatively, there are specialty blends out there that cater to very specific tastes like the Death Wish Coffee or Valhalla Java. 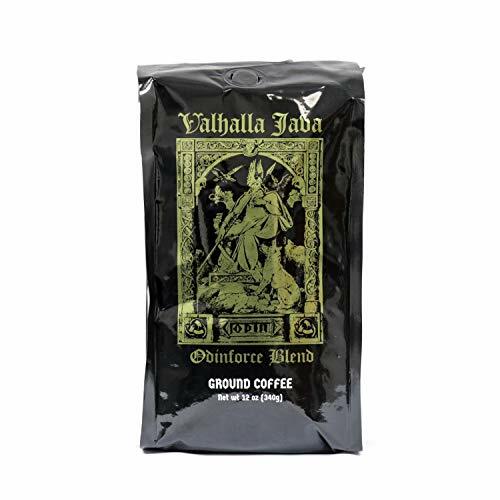 These are not your typical grocery store coffee brands. The longer the coffee stays in the bag, the worse it gets. The first few brews of a brand new bag will always taste epic, but the last few ones will taste weak and/or weird. This problem can be avoided if you ensure that your beans are sealed in an opaque, air tight container, and placed far away from sources of extreme temperatures, light, and moisture. Freshness also applies to the grinding process. It is recommended that beans should be ground right before they are used. 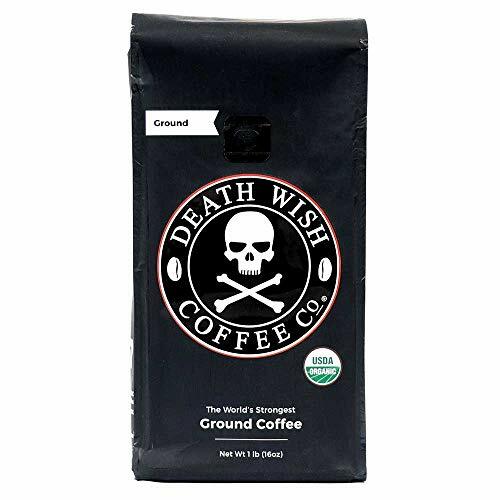 Freshly ground coffee has a deeper, more bodied- "stronger" flavor. Coarse or fine? The type of grind is dependent on how you want the finished product to be. A fine grind is best if you want to the get the most out of the beans' flavor. However, this is not really recommended if you don't like having coffee silt settle at the bottom of your cups or if you use a French press or long extraction method (where the fine grind will just fall through). A coarse grind works fine most of the time if you want a strong brew. See how to grind coffee beans without a grinder. Coffee is only as good as the one who makes it. Making the perfect cup according to your tastes, however, needs a bit of experimentation. You can try mixing up the water/coffee ratio, or try different brew temperatures. Coffee is hugely dependent one's personal preferences and tastes. But while people's opinions might differ a bit on how a "strong" coffee tastes like or the kind of kick it provides, one thing is clear- good coffee is like good wine. It should be full-bodied, rich, dense, and pleasing to the senses when you drink it. It might take a bit of work and experimentation to get the right brew, but once you found, it would be just like heaven. Did you enjoy this guide? Let us know in the comments with your experiences and favorite brand of coffee.